The government is pushing regional administrations to exploit the country’s numerous digital start-ups to boost local tourism and empower local economies to drive economic growth. 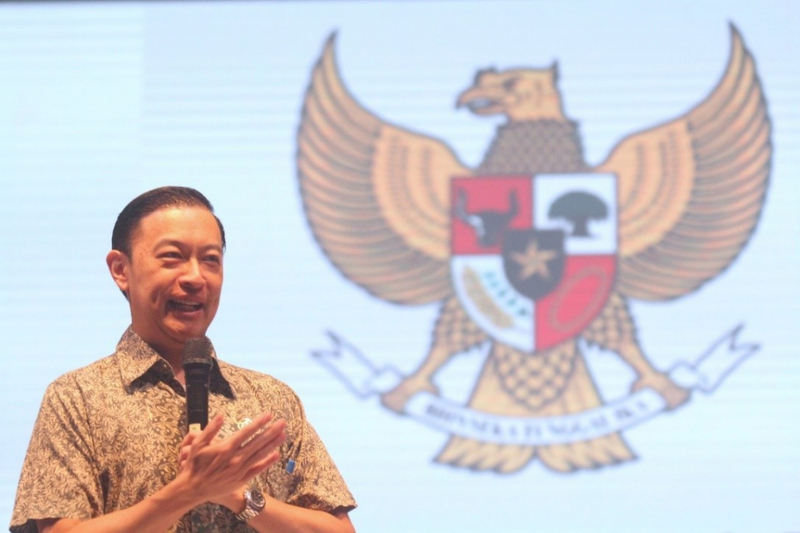 The digital economy was key to the global tourism industry, as well as Indonesia’s tourism industry, as it helped the sector to grow more rapidly than ever, Investment Coordinating Board (BKPM) head Thomas Lembong said on March 11 at the 2019 Regional Investment Forum in Tangerang, Banten. He cited data that showed the global tourism industry was growing 7 to 7.5 percent annually, double the 3 to 3.5 percent annual growth of the global economy. Thomas said the digital economy spurred tourism through social media, which had shifted consumer behavior from product consumption to experiential consumption. The phenomenon, he said, meant that consumers were more interested in spending on travel to seek “Instagrammable” moments for posting to their social media accounts. Aside from social media platforms, other digital platforms that were helping to spur global tourism included online travel agents, home-sharing sites and ride-hailing transportation services, he said. As the digital economy had great potential in boosting tourism, Thomas said regional administrations needed to gain deeper understanding about cultivating the use of online platforms to attract more tourists and to encourage longer stays. “These apps can help regional administrations drive tourism development, because they [the apps] provide recommendations on where to stay and eat, and help tourists explore their destinations,” he said. Communications and Information Minister Rudiantara echoed Thomas’ views, saying that the government and regional administrations should simplify regulations to allow digital start-ups to flourish and to support the tourism industry, as well as the national economy. He underlined that central and regional governments could facilitate and accelerate growth of the digital economy. “In this way, we hope our digital economy can grow to US$130 billion, about 11 percent of our gross domestic product in 2020,” he said. The Indonesian digital economy has been flourishing in the last few years, as indicated in the mushrooming number of start-ups. Four Indonesian start-ups –Traveloka, Go-Jek, Tokopedia and Bukalapak – are valued at over US$1 billion and have achieved unicorn status. These start-ups have also contributed to scaling up the millions of micro, small and medium enterprises and to creating more jobs in the country. East Java Deputy Governor Emil Dardak concurred with Rudiantara, saying that heavy-handed regulations would only entangle businesses and hamper their growth, which was needed to grow both the regional and national economies. East Java was thus ready to implement more “light-handed regulations” so that digital businesses could grow robustly and benefit the province’s economy. “Digital platforms can help us do so much, from selling our tour packages directly to tourists [and] promoting our products and commodities abroad. In this way, we can boost our local economy,” said Emil. On the same occasion, Bank Indonesia Deputy Governor Sugeng said integrating the digital economy and the tourism industry could spell a “quick win”, as tourism could increase foreign exchange inflows. Increased inflows of foreign exchange would in turn help the country narrow the current account deficit, which had been a factor of the rupiah’s steep depreciation last year, said Sugeng. He added that a vibrant digital economy could catapult economic growth and improve people’s incomes, and thus aid the country in escaping the middle-income trap.